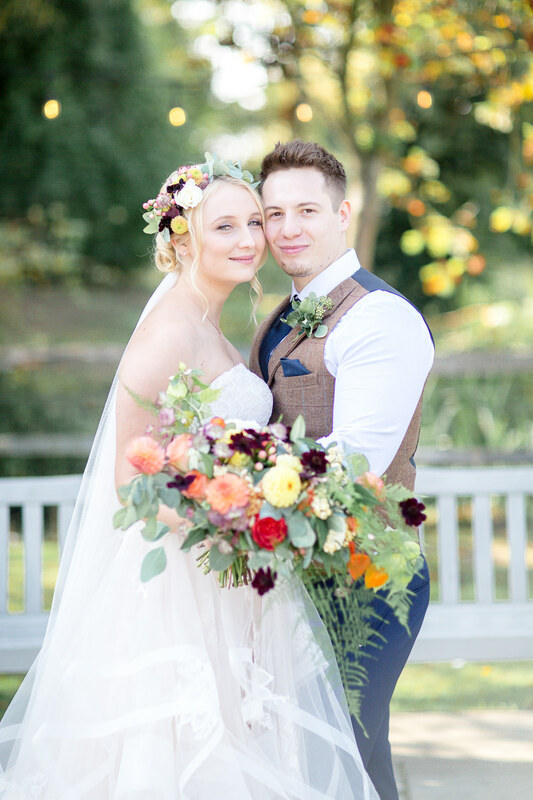 Their day was all relaxed, cosy, autumnal vibes, with gorgeous décor and boho style. There were pumpkins everywhere nestled beside wooden signage and candles. One of the stand out elements to their décor though has to be the incredible hanging flower installation, suspended from the barn ceiling, it really was a sight to behold. It’s also great to see that WWW fave and Supplier Love member Jeccabox provided the darling paper goods. Do keep your eyes peeled for sensational outfit choices, a bountiful bouquet, a cute dog and a very cool personalised leather jacket. Oh yes!